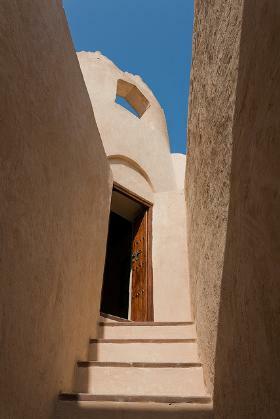 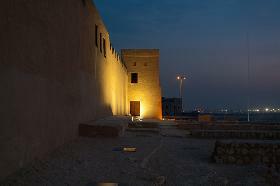 Qal’at ar-Rifa’ is a 17th-century fort located on a reef amid the ancient Riffa settlement and modern day West Riffa. 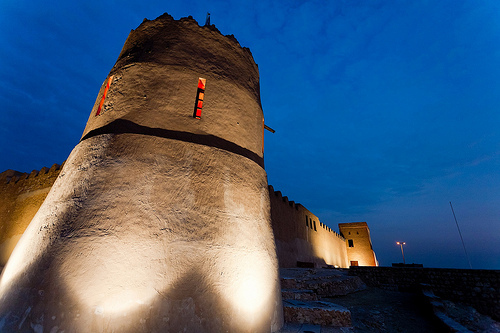 Currently it is also known as Sh.Salman Bin Ahmed Al Fateh Fort. Built originally under the Persian Safavid empire’s ruling, Riffa Fort was converted by Sh.Salman Bin Ahmed Al Khalifa as a defense and residential complex and the headquarters of the sultan in 1812. 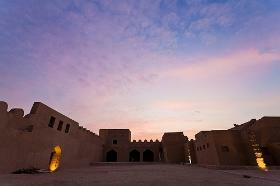 Until 1869 Riffa was the capital of Bahrain, thus Riffa Fort held a great strategical importance. It now features three elaborate rectangular chambers, each with an independent court. 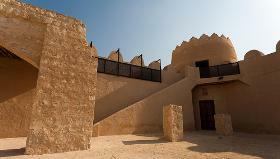 The first court has a staircase and a new building on its western part. The second contains a path leading outside the fort and two identical chambers. The third is narrow, with several smaller chambers alongside the staircase on its southern façade. Riffa Fort also contains a huge façade on its northern side, a circular garrison amid the chambers, a well, and a mosque nearby. The Riffa fort is located near the Hunanaiya valley, 20 km from Manama. 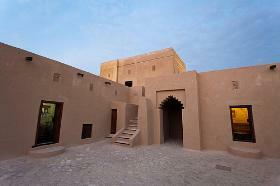 Entrance to the fort is free.